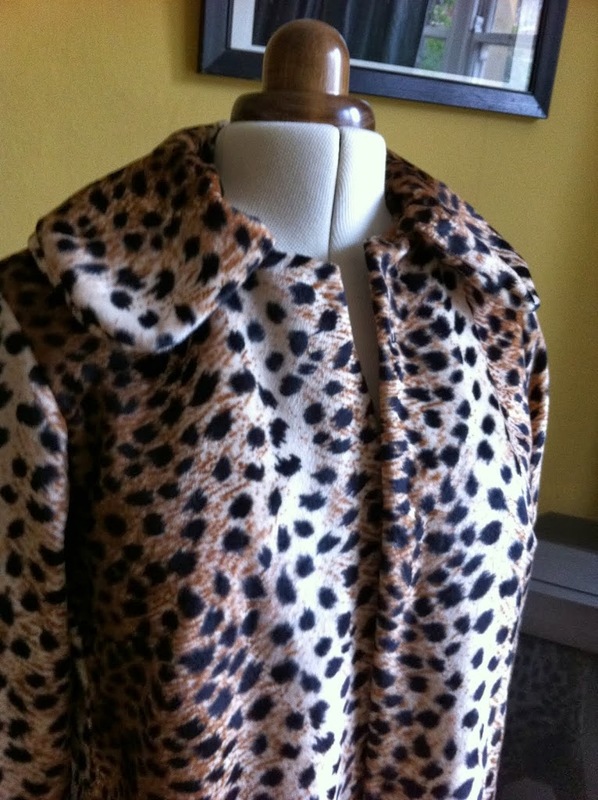 After at least 14 dresses of the same style I’m resisting the urge to do the same with my latest Burda coat pattern. 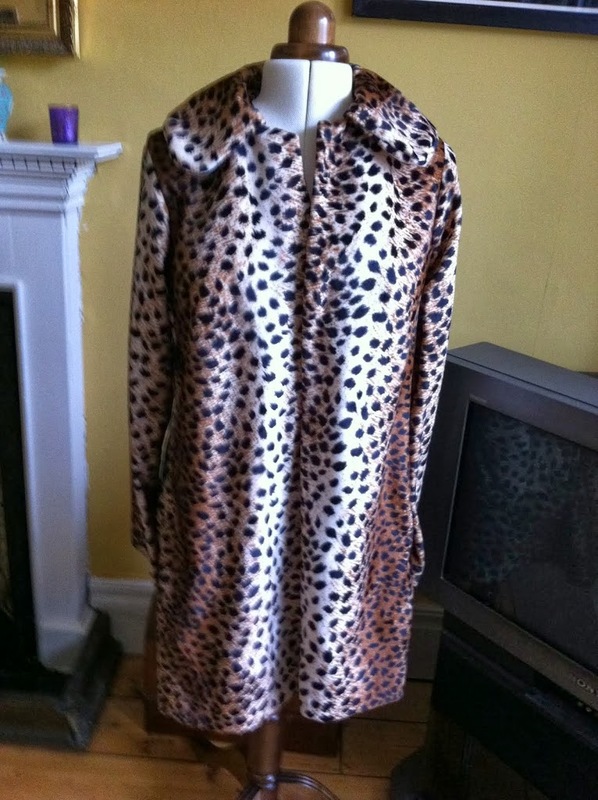 I wore coat number 1, made in fashion-victim leopard print. I wore it a lot. Everyday, in fact, for nigh on three mild weathered weeks in September/October. Suffice to say it’s a little whiffy now as I refused to take it off even in the warmest throes of our Indian summer (unseasonably sunny autumn…). And now, hey presto! I have created another one. This time out of black corduroy with a suitably magician-like crimson lining. So I read and read and read the ‘how to sew buttonholes’ section of my sewing machine manual. Some hours later, after managing to change the foot, I gave it a go. Argh! I gave (in my soul of course) the most blood-curdling of screams. I had to mentally hold myself back from hurling the machine on the floor and storming off. ‘Why me?’ I lamented, self-pity oozing from every orifice. Then I pulled myself together and admitted defeat. 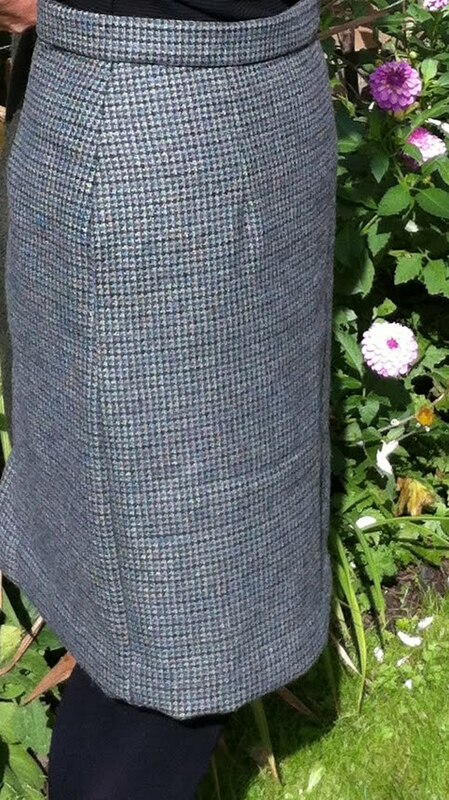 Ten minutes later ‘I’ had finished my coat – 3 buttonholes and all. 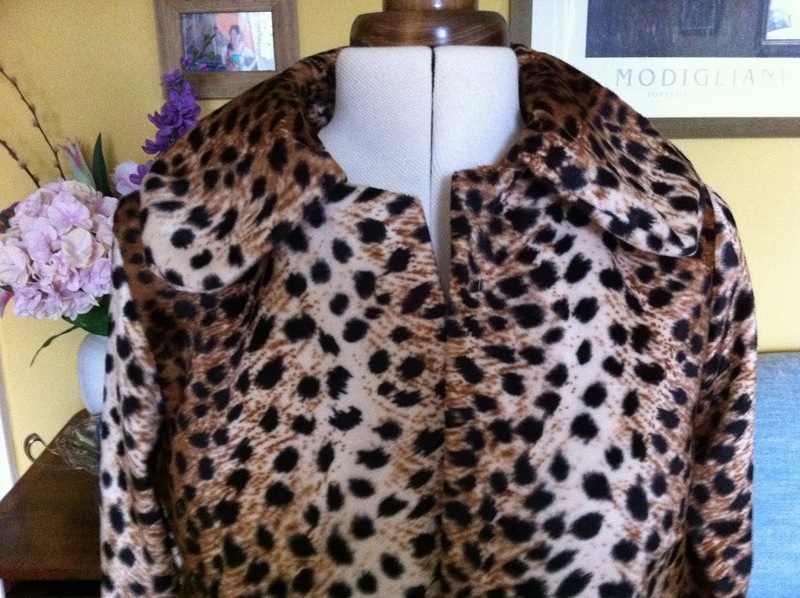 But it’s seriously wrong-footed my serial coat-making tendencies. I’ll not be getting back on that horse for a while. After my Hansel and Gretel moment with the washing powder at the supermarket a few months ago, then my falling foul of a serial flatterer pedalling the lines ‘you are the most stylish woman in Bishopston'(shame on him) you might have thought, hoped, that I would know better by now. But no. For a while I was confused but felt pleased. Whatever she was talking about was clearly a pleasant thing as she was smiling and nodding at me with such vigour and enthusiasm. Then another woman came across. ‘Oh yes, we love your coat. 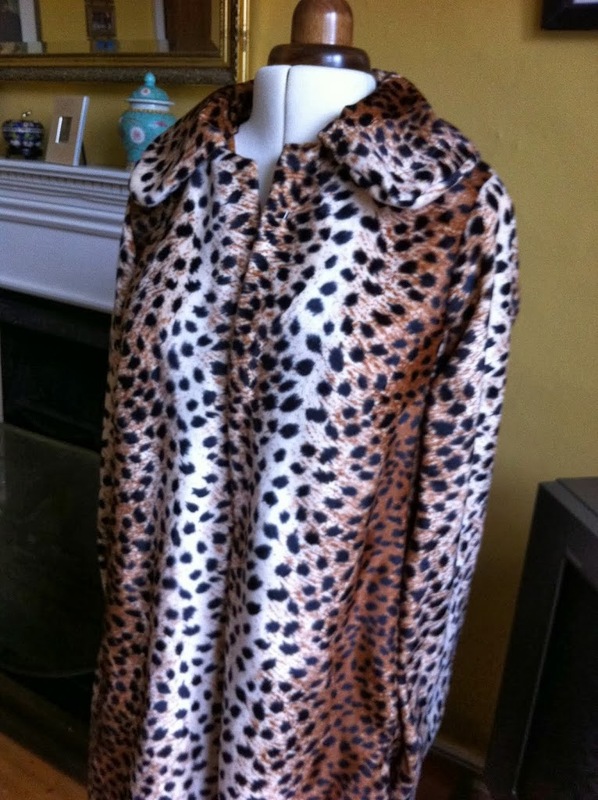 We’ve been talking about it all week!’ As I was wearing my handmade leopard skin jacket (which I think looks uncannily like one I’ve seen Kate Moss wear), I presumed that this must be the fabulous coat they were talking about. Before I could stop myself it was as if they’d pressed some button which I could not override. ‘You made it?’ They exclaimed. Genuinely amazed. For a moment I felt my angst cloud descend upon me once more as I imagined that these happy, dazzlingly smiley women had mistaken me for someone else. Then I left. Quickly. Before I could blurt out the truth. Beaming. As for the child, well I’ll be seeing him again soon enough. And as for the existential angst, let’s just say that it’s amazing to think how the world can seem a better, more welcoming place after just a few appreciative smiles and kindly, approving comments. So. What have I learned about myself from this episode? That I am a serial liar? Maybe. That I am susceptible to the beguiling words of sycophants? Possibly. That I am shallow? Most definitely. Or (and) that I am just like anyone else who likes it when people say nice things to them? Now it’s time to get back home and start spreading the word, the words, some kind, appreciative words … to others. 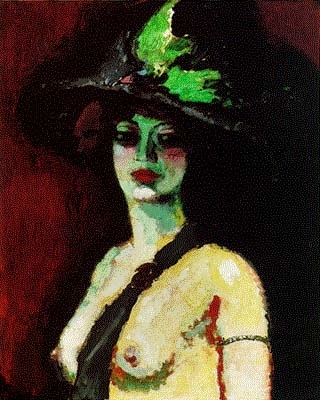 Call it what you will, I just can’t summon up the energy to write about or sew any frocks for Friday this week. After discovering that I could buy them for less than the price to make them , my sewing fire has been extinguished. 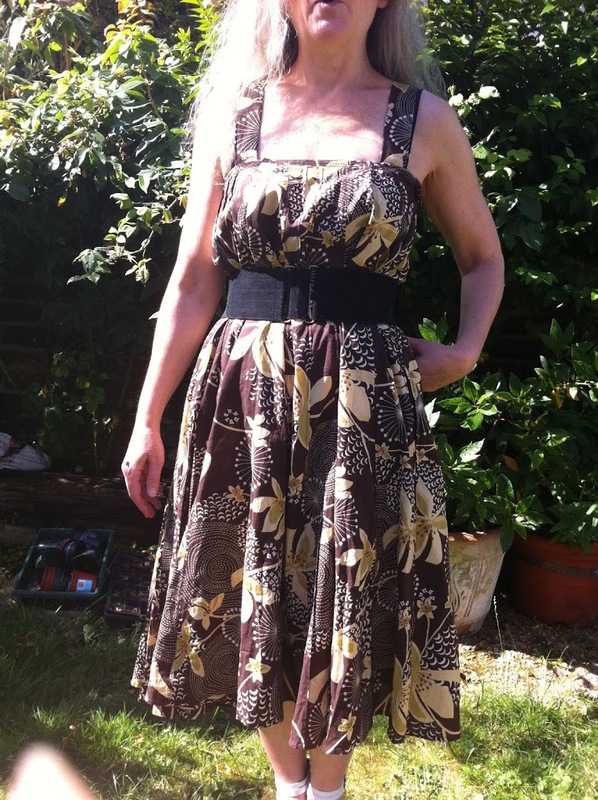 However, as I sit here in one of said cheap dresses, it really doesn’t make me feel the way my handmade frocks did. That is, ‘special’ in a dangling-threaded, uneven-hemmed sort of way. So they might not have been perfect but the very fact that I had made them rendered them exquisite objects in my eyes, thrilling and amusing me in equal measure. Thrilling because, hey, I’d made a dress. That I could wear. Amusing because I knew that it was not a thing of perfection. And that I had chosen an, in some cases, tasteless fabric. Now I’m certainly not thrilled and my smacked-arse face cannot even raise a smile. Bring back the spirit of Frock Friday. Gone. The sun has gone. One minute I’m worried that I might dissolve vampire-like with the rising of the sun, the next that I might be suffering from Seasonal Affective Disorder due to the sudden onset of rain, wind and unremitting grey skies. Accept it climate – you can’t win. And my wardrobe is packed full of at least 15 summer dresses (with high factor sun cream on the side table close by). And those dresses have served me well. But now, I fear, it’s time to put them away. Until next year. Time to buy another pattern. An autumn/winter season pattern. 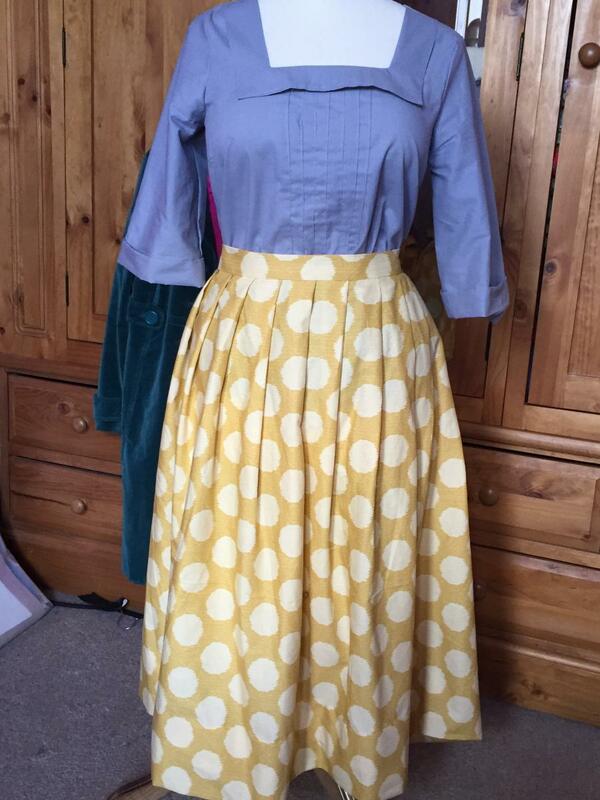 My sewing protégée, Dotty Hardcastle, has a sewing aunt who very generously bequeathed to her a wonderful stash of the most beautiful fabric, ideal for the Burda skirt pattern. Worsted, check and corduroy. She very generously split it down the middle so that I had 3 lots of material in just the right lengths to make 3 just-above-the-knee Burda skirts. All I had to buy was the lining, interfacing (never before used but was intrigued to see if it really did make a difference), cotton and zip. Oh and buttons. And it was in just the right colours. 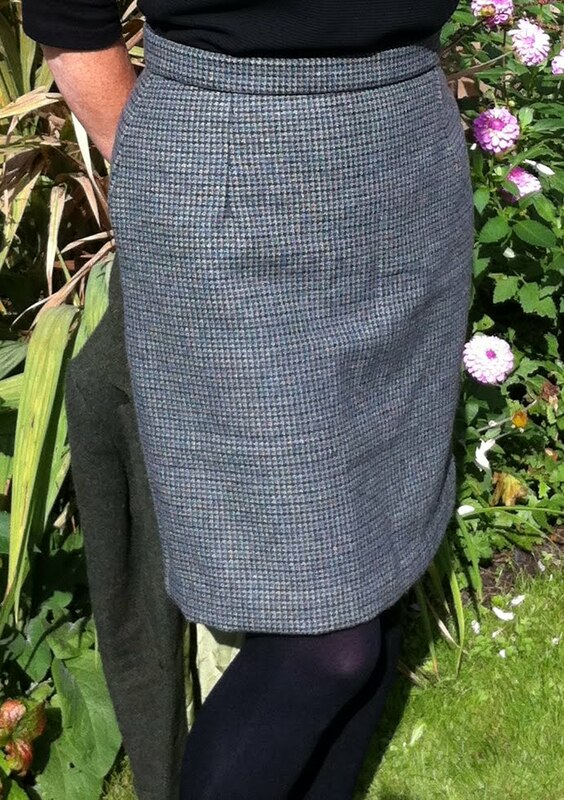 Let me introduce my ‘gold’ skirt in beautiful-to-work-with worsted. It has to be said that I had great trouble finishing this skirt. Not least because I found the Burda pattern so hard to follow. 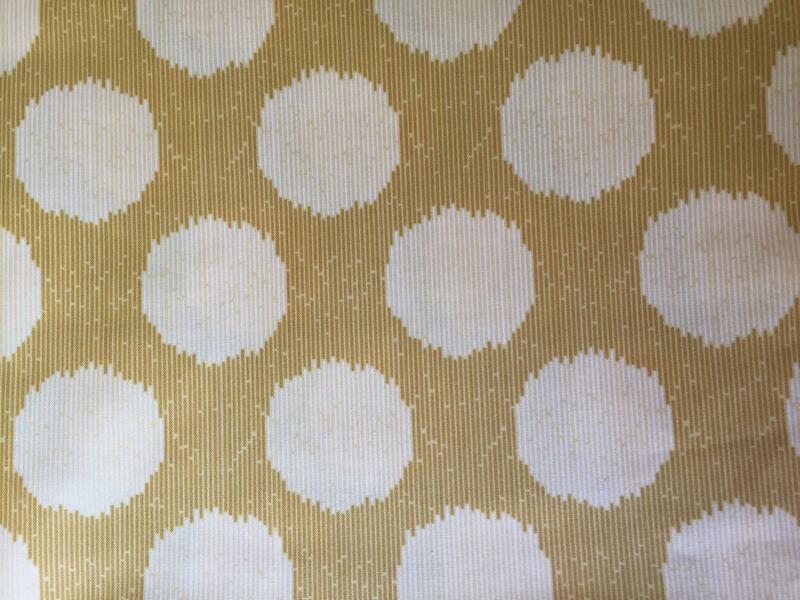 Perhaps the pattern writers at Burda assume knowledge that I do not possess. 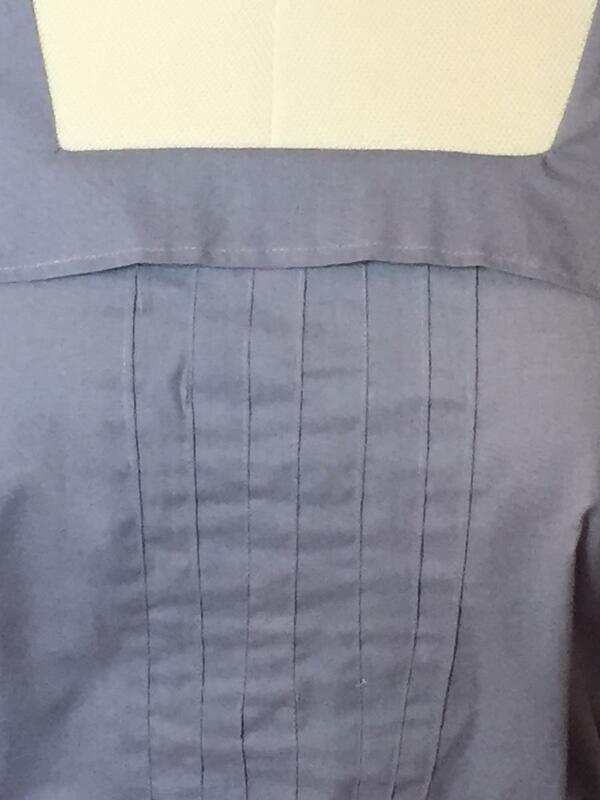 I accept that a skirt with 4 pieces (1 waistband, 1 front and 2 back pieces) shouldn’t be too difficult to work out but… I wasn’t sure which dart line to follow and as for the back flaps I’m still not sure if I’ve done these correctly. Then there was the hem line. As for this error – it was all my own work. Assuming that sewing a hem would be easy I couldn’t quite believe my eyes when I tried on the old gold skirt and saw that I had spent hours sewing up what can only be described as a gently sloping (on the diagonal) hemline. 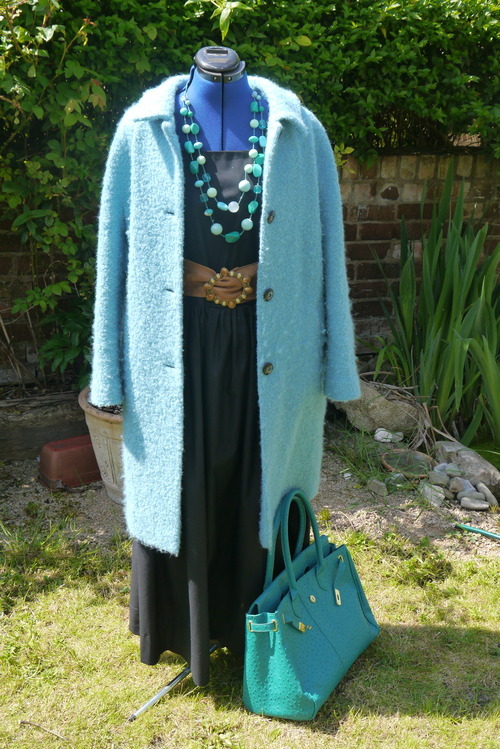 Even I could not live with it and was shamed into unpicking it and trying it on my dressmaking model. And it took me ages. I would pin up. Stand back. Too short on the left. Adjust. Stand back. Too short on the right. Adjust. Adjust. Adjust. And in the end I didn’t care if it wasn’t perfectly even. It was good enough. And as for the lining, that at least went in like a dream. It looks so mundane. Just a normal, unexceptional skirt. But it feels so beautiful to wear. 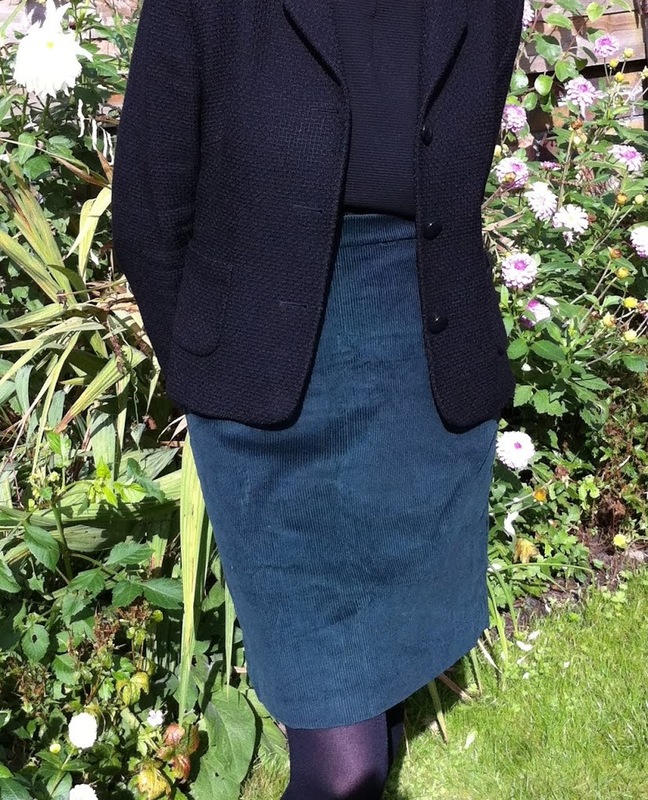 1 1/2 metres worsted = free – a shared gift from Dotty’s auntie Sheila (a joy to cut, sew, touch and wear). 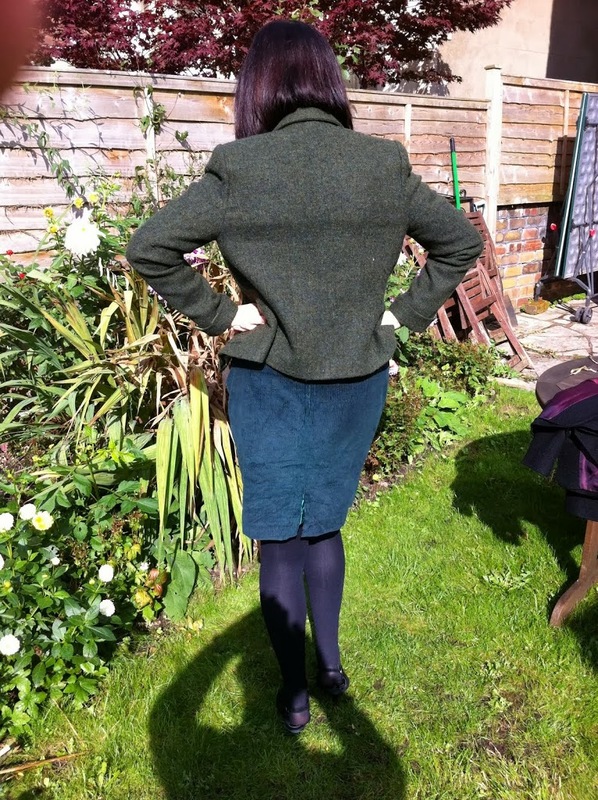 Then I made the Burda skirt in green corduroy. This time there wasn’t enough material to make the flap at the back but as the skirt isn’t short-short it doesn’t really matter. 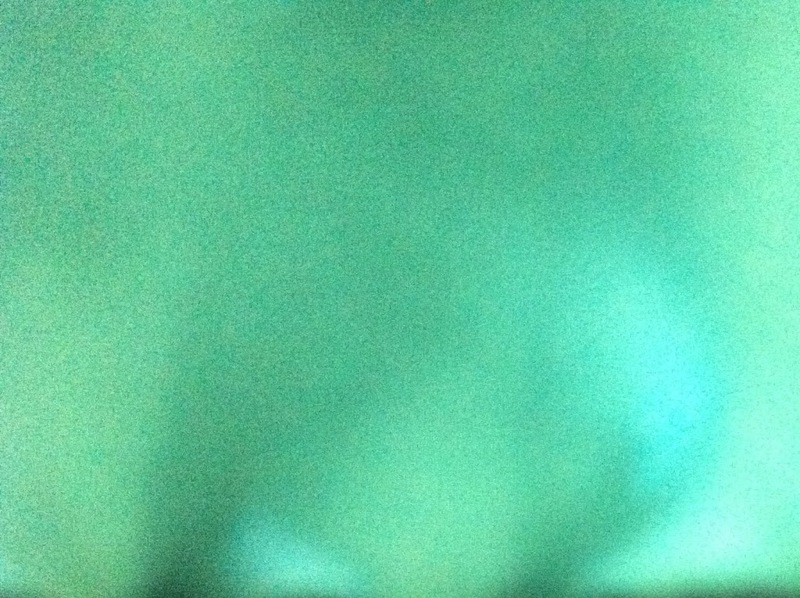 I chose a bright green lining for that cheeky flash of colour. 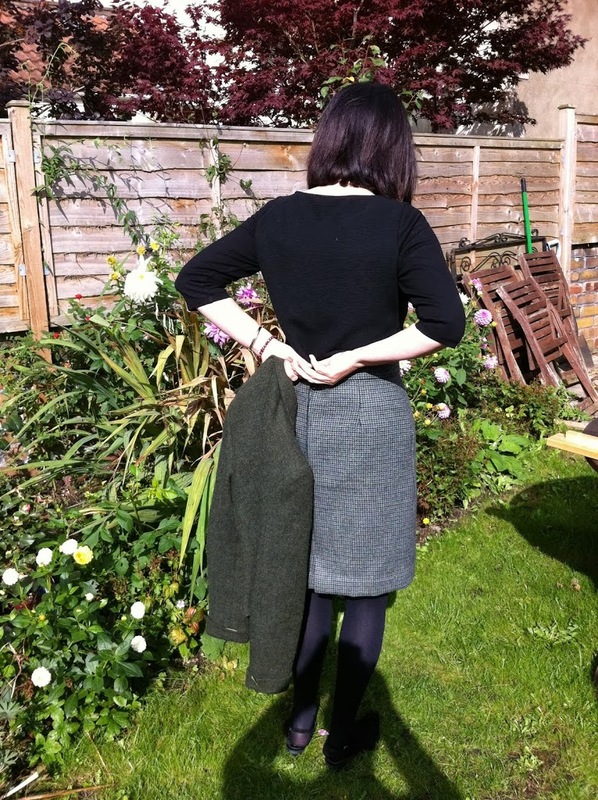 The last Burda skirt to be made up using auntie Sheila’s stash looks like this. Strangely formal and not particularly wild or oomphy it’s true, but it’s lovely. 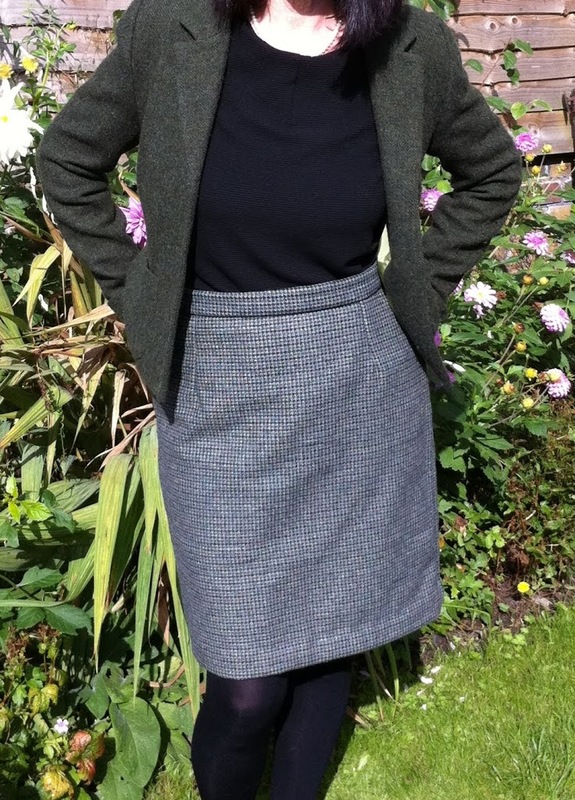 The material, a wool check, cut and sewed up beautifully and when lined this skirt also feels wonderfully tailored and a joy to wear. Here’s another cheeky flash! 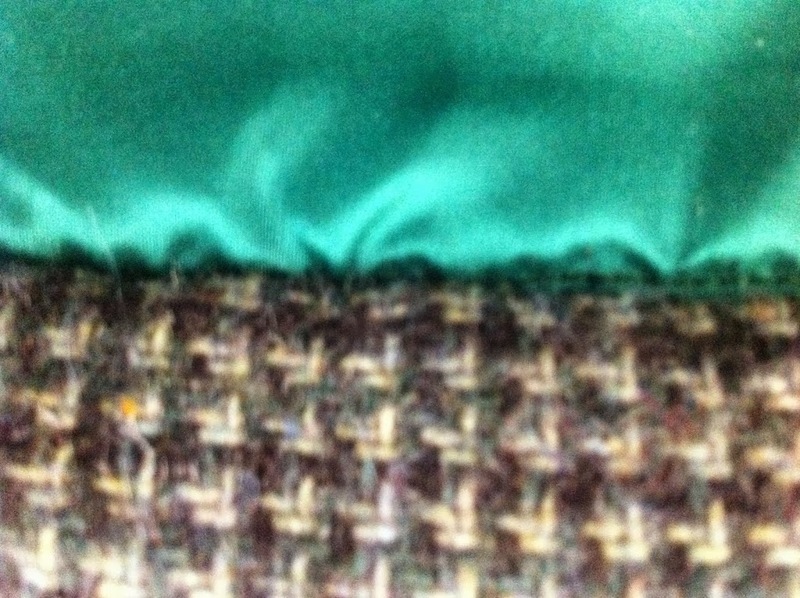 Oh, but look at the colour of the thread…As ever, my clothes don’t survive close scrutiny. But hey, from a distance who can tell?! 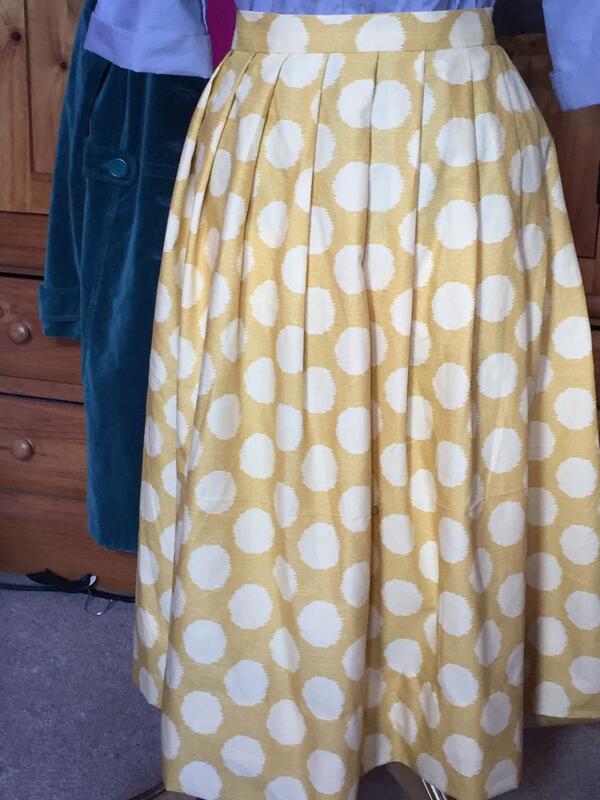 And for just £9 I’ve got 3 well-made skirts! Cheers Sheila! Rosie ran round this morning, leaving her sewing machine still warm on her kitchen table, to show me … her version of The PSD (=Perfect Summer Dress). Apparently she was inspired by my frocks but really I know that she can’t wait to give me a master-class in finishing off. Properly. Rosie you see has a reliable machine. And an overlocker. But it’s not just that. She is really competent at making a garment to a very high standard. At finishing off. As I was looking at patterns in John Lewis the other day a very sweet woman struck up a conversation about the importance of finishing off properly. Perfect sewing woman : Oh, most people have no idea how long it takes to make something. 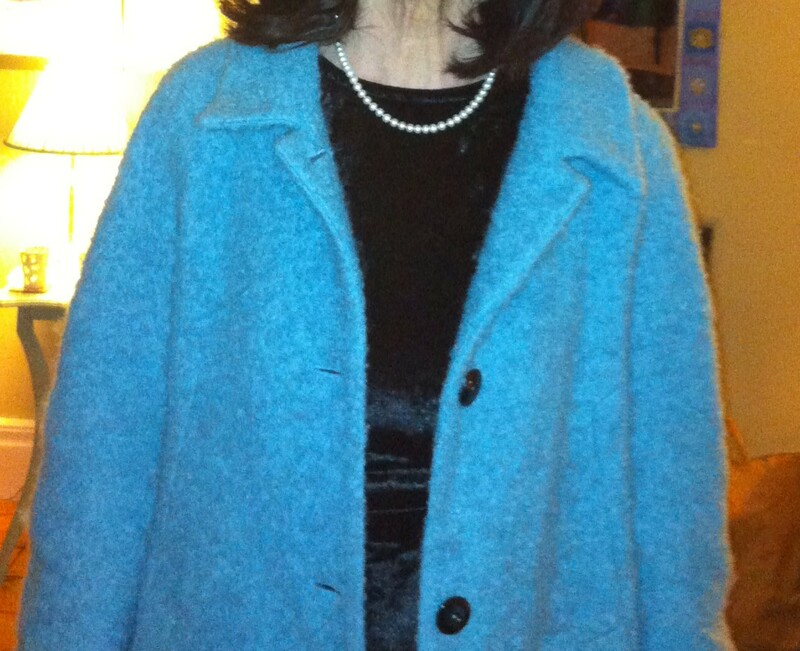 Slapdash sewing woman (me) : Oh yes. That’s true. No idea. Perfect sewing woman: You have to finish all the seams and that alone can take ages. Slapdash sewing woman (me): True again. All the seams. Ages. Perfect sewing woman: But it’s worth it. Slapdash sewing woman (me): Oh all too true. So worth it. As conversations go it was banal, I grant you. But I suppose that now that I’m in the sewing circle of trust , as it were, I need to up my game. Not least because as I walked away, wearing my white strawberry dress which I had hurriedly knocked together on the weekend, not a properly finished seam in sight, I could feel a piece of stray cotton dangling against my leg. I hope she didn’t notice. Labelled in the past by my mother-in-law as a ‘slack knitter’ ( for which there is no known cure ), I want to avoid the epithet of ‘slack sewer’. Cue Rosie Green. 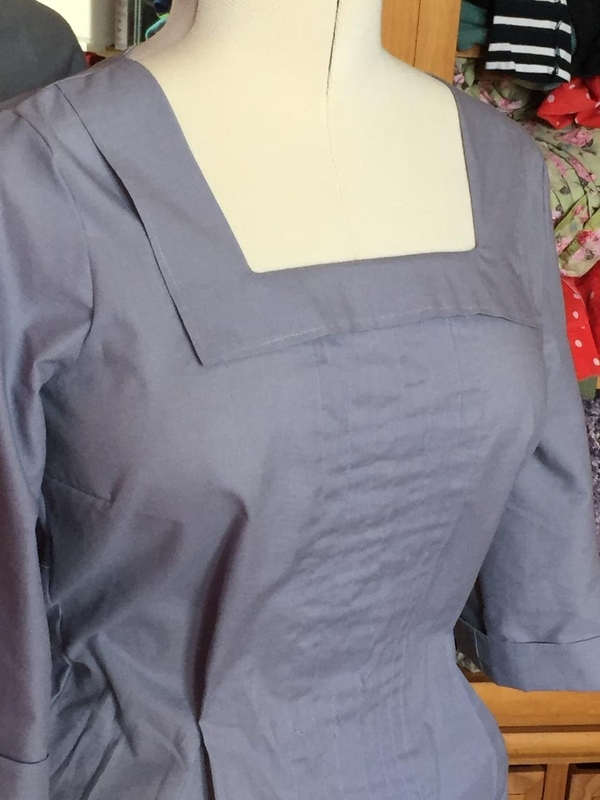 In the coming weeks I will be referring to her greater sewing wisdom to help me on the road to sewing salvation as well as featuring garments she has made. As a passionate advocate of upcycling she has long been dressing the great and the good of St Andrews with her upcycled, well finished off creations, many of which I hope to feature in the coming months. 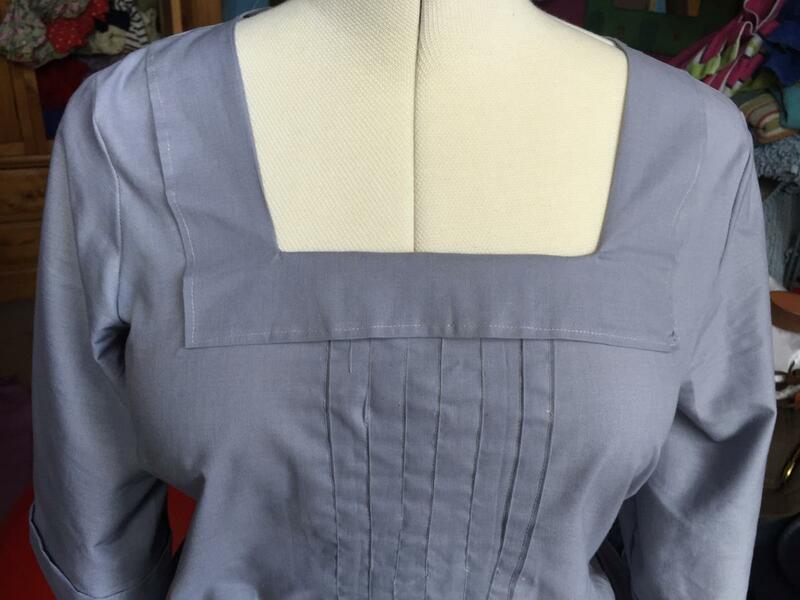 * Cut to fit by cutting out a section of material along the side seam . Sew. * Use excess material to create shoulder straps. 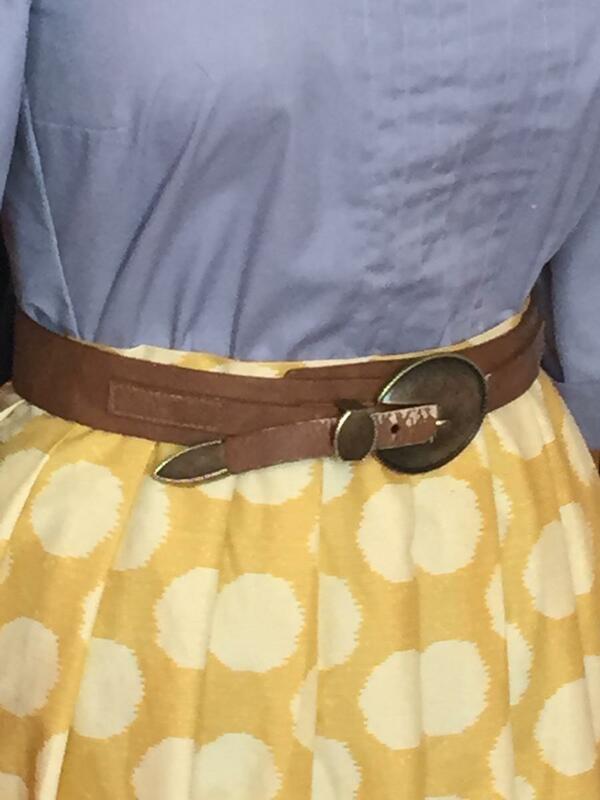 * Go to a charity shop to get a big belt to pull the dress in at the waist thereby avoiding extra sewing.